I love Donald Ross golf courses and two of his delicious golf courses are within 6 miles of each other — at Myers Park Country Club and Carolina Golf Club. These two successful (but very different) country clubs should join forces to become Charlotte’s dominant golf, social, fitness and country club destination. The strengths and weaknesses of MPCC and CGC are perfect compliments. Membership is strong at both clubs and each club is reinvesting in their offerings. Myers Park Country Club recently built a fancy fitness and golf facility. They’re also completing extensive club renovations and adding additional dining options. Carolina Golf Club just redid their patio and added a gorgeous fire pit with a stunning view of Uptown. “Sometimes the combination of clubs creates a 1+1=3 situation when it comes to member benefits,” Damon S. DeVito, managing director of country club consultancy Affinity Management told me. It’s not common for country clubs to merge according to Heidi Voss, president of national country club consultancy Bauer Voss Consulting. But it does happen. 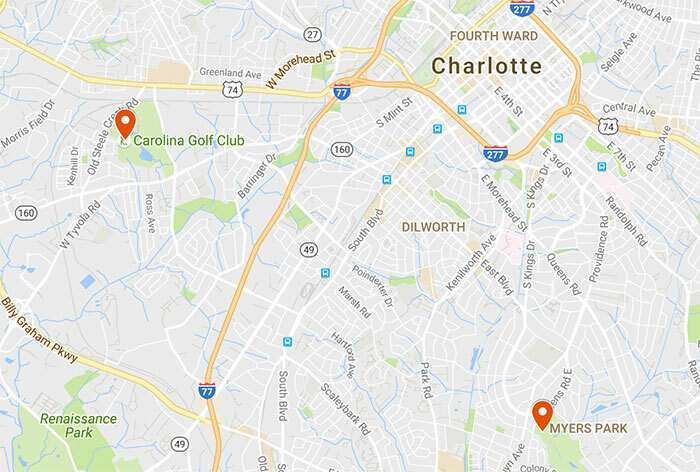 While the two golf courses may be comparable, clearly Myers Park amenities and central location to wealthy Charlotte neighborhoods are far superior to Carolina Golf Club. CGC prides itself as being a “golf only” style club. As you would imagine, this is reflected in materially higher initiation fees and dues at MPCC. Some type of adjustment or reciprocity system would have to be created to manage this inequity in the case of a merger, but it’s doable. 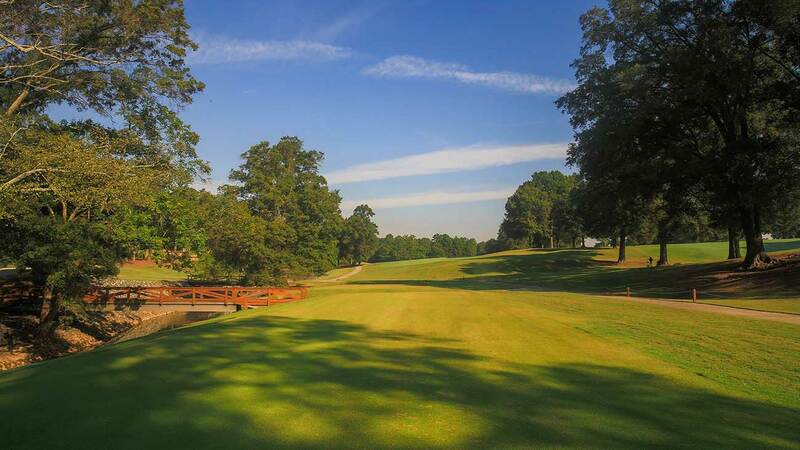 Another option is for Myers Park Country Club to simply buy Carolina Golf Club – a strong move that makes the most sense in the long run. Strengths: Location, fantastic golf course, killer pool and cabana, updated clubhouse with multiple dining facilities, stellar tennis complex and brand new fitness/golf center. Weaknesses: Cramped driving range/practice facility. Steep initiation fees and pressure on keeping initiation fees and monthly dues reasonable to attract younger perspective members. Strengths: Killer golf course, professional quality golf practice facility, proximity from Uptown and affordable junior memberships. Weaknesses: No fitness center, small clubhouse, marginal dining and bar options, no tennis and a nothing special pool. Leading country club consultants Heidi Voss and Chris Calvert walked me through the major benefits of a club merger like this. Better golf. Members would have access to two beautiful Donald Ross courses. Two is better than one. The combined club would provide a golf experience 7 days a week and still host events. Members would never go without golf no matter tournament or maintenance schedules. Lower costs. There would be a single function of club administration (ex: HR, accounting, golf operations, etc). The combined club would also be able to share capital intensive golf equipment. 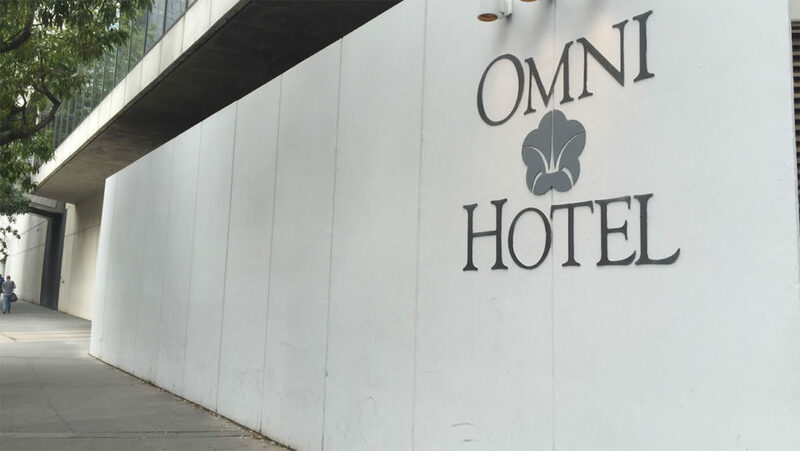 This reduction of costs could be passed along to members or reinvested in amenities. Better food and service. Larger operations means that the combined club could offer superior compensation packages to employees in order to recruit A+ talent. Dual locations. CGC is a quick drive from Uptown. MPCC is right in the heart of the Myers Park. CGC is built for golfers, MPCC is built for families. Improved demographics. With intelligent junior membership programs, this combined club would dominate in attracting young professionals looking to join a country club. You could see a cool vibe with current city decision makers interacting with future city decision makers. Unbeatable golf tournaments. A member guest or club championship that alternates courses sounds incredible. Having two courses would also be an important tool for recruiting the many PGA Tour professionals that call Charlotte home. A new city club. With a reduction in expenses, a combined club could consider investing in an Uptown City Club that takes on our current City Club, head to head. I’m picturing a speakeasy type spot, not an event space. Children’s programming. Family programming has become increasingly important to club members – with enough children, you could see an opportunity for additional summer camps, child care and more. Sure, there are a bunch of details to work through, but this to me is one of those rare 1+1=3 opportunities. I just hope I get invited to join with a $0 initiation fee for developing the plan.